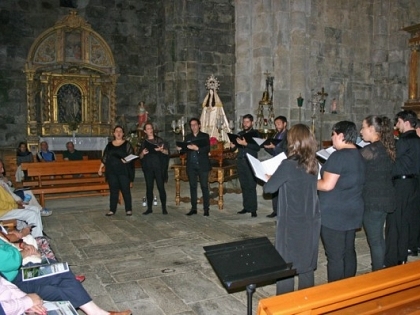 On this occasion, the participants of the Grupo de Música Antigua de la Universidad de Valladolid directed by the Music History and Sciences doctorate and Musical Education professor, Ignacio Nieto Miguel, were responsible for delighting with their performance the people that filled up the church last sunday. The concert is proof that the Atlantic Romanesque Plan’s intervention in the church did not end with the conditioning and transformation of the sacristy into a chapel adapted to the needs and usage of the faithful. The Plan’s team is still working with the goal of making the church a center and reference of cultural dynamization, through activities such as this. 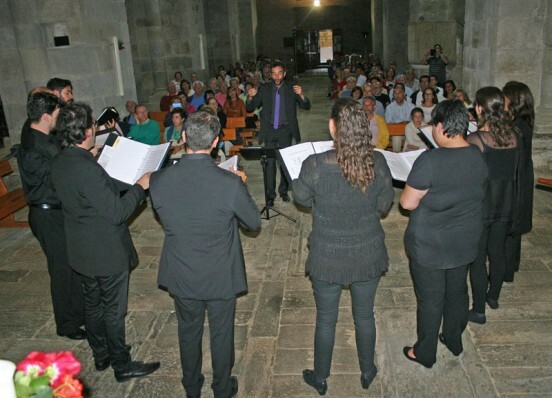 The Atlantic Romanesque is a trans-border collaboration project for the conservation of cultural heritage in which the Junta de Castilla y León, the Fundación Iberdrola España, the Secretaría de Estado de Cultura de Portugal and the Fundación Santa María la Real del Patrimonio Histórico participate, as well as the dioceses of Zamora, Astorga, Salamanca and Ciudad Rodrigo. 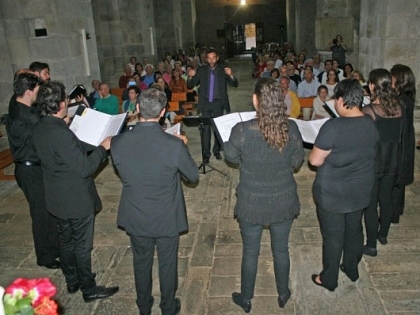 This past Sunday, for over an hour, the Grupo de Música Antigua de la Universidad de Valladolid filled the church with “Camino del Cielo” [Path to heaven], a set of nine musical pieces, by authors such as Tomás Luis de Victoria, Cristóbal de Morales, Juan Navarro, Francisco Guerrero or Sebastián de Vivanco. 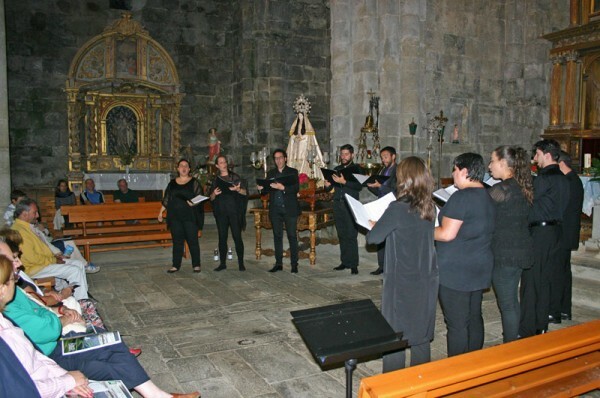 Exclusive works, mostly religious, that take the audience to the XVI century, to the time of Santa Teresa de Jesús, through the voices of the sopranos Beatriz Valbuena and Verónica Rioja, the countertenors Leire Sánchez, Norma Rodríguez and Beatriz Pérez, the tenors Juan Pedro Lozano, Javier Sanz and Gregorio Casado and the basses Javier Frontela, Jorge Bombín and Ignacio Nieto.